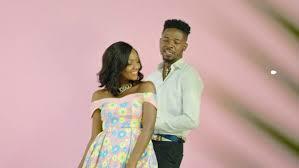 The Mavin Records artist Johnny Drillie has released the official music video of Halleluyah whereby he featured Simi. I love this video so much because it is not like the regular video we see everyday on her screen. I like the way they expressed themselves in the video. It shows how people who are in love behave when they are alone. You know that feeling whereby you just keep thinking about the person all day long. It makes me feel like falling in love again! The video was directed by Mex and has 0ver 2000 likes in less than 24 hours. If you haven’t seen the view, check it out below. The music sounds good, great Melody.